OriginTrail announced Jan. 18 the end of the TRACE token crowdsale after successfully reaching the designated hard cap of USD 22.5 million. The project aims to use blockchain technology to bring transparency and accountability to supply chains around the world and fight persistent problems like counterfeit goods, food safety violations and sweatshops. OriginTrail launched its ICO presale on Jan. 15 and achieved its hard cap in 18 minutes, according to the issuers. 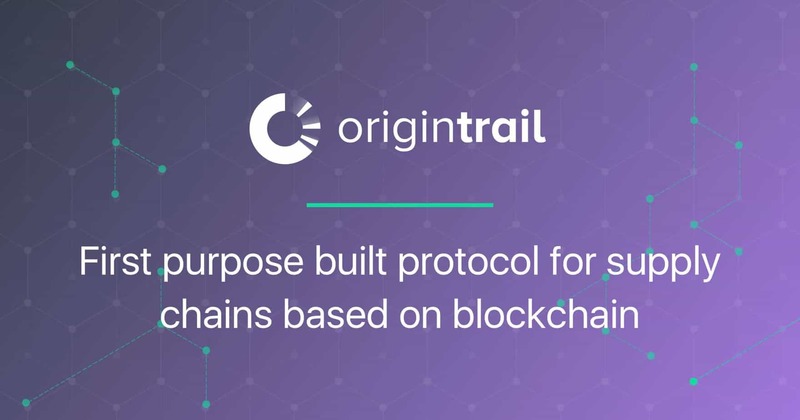 OriginTrail is developing the OriginTrail Decentralized Network (ODN) as an off-chain solution to the limited data throughput of existing blockchain technology. By design, data from many different IT systems can be integrated into the ODN and stored in a distributed cloud, while hashes or “fingerprints” of the data are stored on the blockchain for immutable record keeping. TRACE tokens are used to interact with the ODN and any dApps developed using the OriginTrail blockchain. OriginTrail was recently recognized as a member of the Enterprise Ethereum Alliance (EEA) and has also received support from the Chinese food tech accelerator program Bits x Bites in deploying a pilot program with Chinese online farmers market Yimishiji. The program uses OriginTrail technology to help 1.4 billion Chinese consumers verify the source, journey, and authenticity of their purchases, according to OriginTrail. To learn more about OriginTrail, visit https://origintrail.io.